Newly appointed Justice Minister David Lametti speaks to reporters outside Rideau Hall. Lametti has said he's open to hearing proposals aimed at ensuring grievously ill Canadians aren't forced to end their lives prematurely. SHERBROOKE, Que. 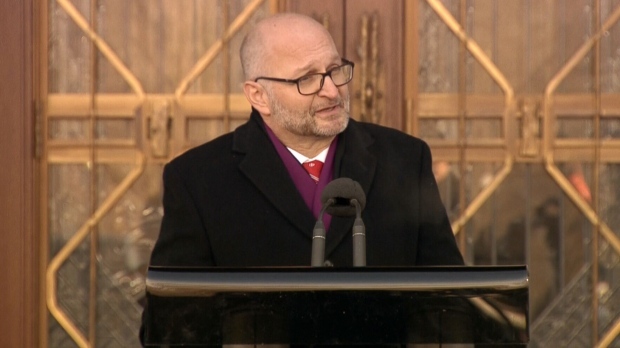 -- Newly appointed Justice Minister David Lametti says he's interested in hearing proposals aimed at ensuring grievously ill Canadians aren't forced to end their lives prematurely rather than risk losing the mental capacity required to receive medical assistance to die. Lametti, who was named to the Justice portfolio on Monday, won't promise to change Canada's two-and-a-half-year-old law on assisted dying. But he's open to hearing what Dying with Dignity Canada suggests so other Canadians won't suffer the same fate as Audrey Parker. Parker is the Halifax woman who last fall made a very public plea for changes to the law. 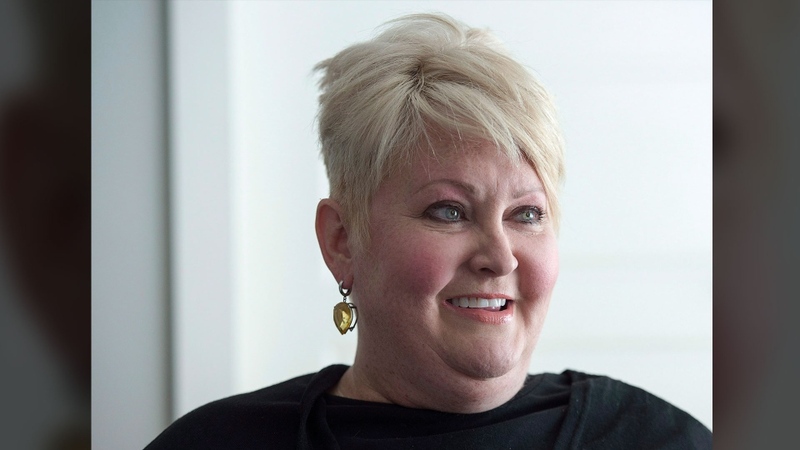 Parker had terminal breast cancer. She been assessed and approved for a medically assisted death, having given her consent and met all the other requirements spelled out in the law. However, because the cancer had spread to her brain, she feared she could lose the ability to give her consent again immediately prior to receiving the service, as required by the law. Consequently, she ended her life, with medical help, sooner than she wanted. Shanaaz Gokool, president of Dying with Dignity Canada, has said there are many other Canadians in the same position as Parker. Some cut out pain medication to avoid losing mental capacity; others wait too long and wind up being denied assisted death, even though they'd previously qualified. Her organization plans to start a campaign next month, pressuring the government to amend the law so that people who've been approved for assisted death can sign a declaration ensuring they'll still receive the service if they lose mental competence before it is carried out. Gokool believes such an amendment could be done easily and quickly, before Parliament breaks in June, triggering the unofficial start of the federal election campaign. "I'm interested," Lametti said in a brief interview outside his first cabinet meeting, when asked about Dying with Dignity's idea. "I'm interested in watching what happens and what is proposed but I won't commit the government to doing anything more than that." Simply by not slamming the door, Lametti is taking a different stance from his predecessor at Justice, Jody Wilson-Raybould. She flatly rejected Parker's plea last fall, contending that the law as it is strikes the right balance and saying the government "is not considering changing something" in it. Lametti's appointment has raised hope among those who believe the law, which stipulates that a person's natural death must be "reasonably foreseeable," is too restrictive. The former law professor was one of just four Liberal MPs who voted against it in 2016, arguing that it could be unconstitutional. Lametti said the law, which must be reviewed after five years, was intended to be "the beginning of a dialogue" on the issue, including between the government and the courts. "We're watching the court cases, we're watching what other people say, we're watching the impact on the ground, as I think any good government does, but in particular for this piece of legislation because that's what we promised we would do when we passed it," he said. "We saw it very much as a process." The law is currently facing two constitutional challenges, one in Quebec and the other in British Columbia, from Canadians with degenerative diseases who contend the foreseeable-death requirement unfairly excludes them. Asked if he'd consider referring the law directly to the Supreme Court of Canada, so that sick people won't have to spend years challenging the law in a series of courts cases and appeals, Lametti said the decision was made when the bill was introduced to not seek the top court's advice. "I think it's still too early to do that," he added.